Border Patrol is pleased to present a reading with B. Quinn at Wild Burritos on occasion of the closing of Flavor Profile, curated by Meg Hahn. 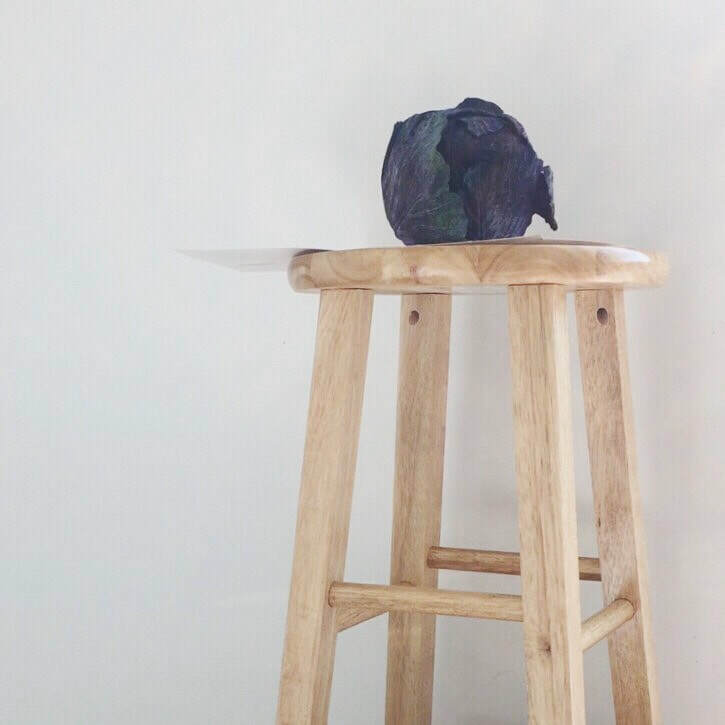 B.Quinn will read from her text-based work, 116 Actions in 24 Hours with a Purple Cabbage in Johnson, Vermont, on view now at Border Patrol. The piece was originally conceived and created while Quinn was in residence at the Vermont Studio center last March. In the recent review "Food, Mundanity, Devotion: Flavor Profile at Border Patrol," Olivia Canny observes “there is a comical and unsettlingly familiar quality to Quinn’s anthropomorphization of the cabbage...the dynamics of the narrator’s relationship with the cabbage offer introspection into how value and turbulence function within interpersonal relationships.” Just like in the artist’s everyday life, banality, dark humor, uncertainty, and obsession abound in this performative reading. The Flavor Profile Cookbook will be available for purchase during the closing reception. All proceeds go to support, R.I.P., Border Patrol's public art series on death and dying debuting this summer. Sign up for our newsletter to receive information about upcoming events and programs.